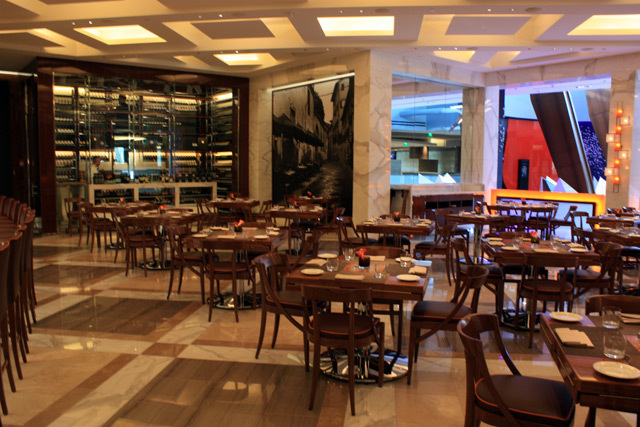 The front dining room at Sirio at ARIA. Love the complimentary colors/shapes of the lighting and the terrazzo flooring. Nice design.